The Farrelly Brothers are simply the most successful comedy directors of the past 20 years, and maybe all time. Ever since their phenomenal debut film, Dumb & Dumber, Peter and Bobby Farrelly have consistently given us some of the greatest comedy films ever. Without them, would Jim Carrey ever have exploded the way he did? Would Cameron Diaz have become the A-List actress she is? However, they aren’t just funny filmmakers. They are brave filmmakers. Many people do not have the audacity to make fun of stupid people. Most filmmakers would never think of making a conjoined twins comedy. What about Schizophrenia? The Farrelly’s conquered it all. Speaking of being brave, Peter Farrelly has branched out alone recently and made Green Book. It isn’t his usual fare but it has a lot of awards buzz surrounding its two stars, Viggo Mortensen and Mahershala Ali. Come Oscar time, we may see something that we never thought we would see because of the Academy’s bias toward comedies. We may see a Farrelly movie win a little gold. This was just a terrible idea. I guess with the success of revisiting decades-old franchises like Jurassic World, the Farrelly Brothers thought they’d give it a whirl. Well, Dumb and Dumber To is just a disaster. Jim Carrey seems to be trying WAY too hard to be funny in the role that seemed so effortless before. Jeff Daniels looks as if he’d rather be anywhere else but in the movie. There are a few funny gags peppered throughout the film, and Rachel Melvin is a delight. However, no one involved in this film seemed to have any inspiration. Even Carrey sensed the lack of enthusiasm and threatened to quit because Warner Brothers were jumping ship. This sequel, the only Farrelly brothers sequel, is just an obvious cash grab. No one thought it was possible, but there is a worse movie in the franchise than Dumb and Dumberer: When Harry Met Lloyd. 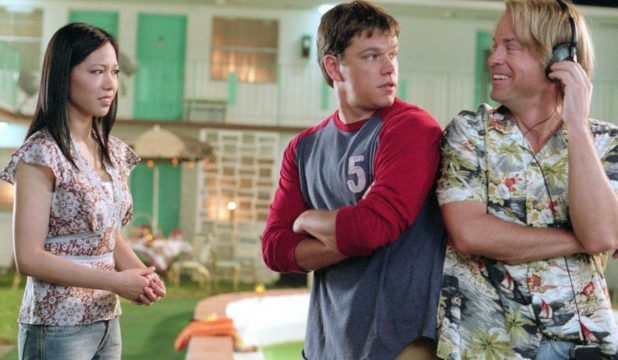 Ben Stiller struck gold when he worked with the Farrelly brothers on There’s Something About Mary, so you can hardly blame him for teaming up again. Farrelly brothers comedies almost always have that despicable character you love to hate. That character is either the villain or a severely flawed protagonist. The problem with The Heartbreak Kid is that seemingly every character in the film is despicable. So, who are we supposed to be rooting for? The Farrellys were a bit sensitive, flipping the narrative of the original. In this remake, Ben Stiller is married to a bombshell blonde and falls for a plain-Jane on his honeymoon. However, Stiller’s character is just an awful, selfish person. Malin Akerman’s character is just an obnoxious ditz. Carlos Mencia is, well, Carlos Mencia. When the budding romance between Stiller and Monahan is going on, it is impossible to care. All the audience wants is for Ben Stiller to get comeuppance. So the aw-shucks schtick that he did so well with the Farrellys before completely fails. Purchase now on Amazon for $8.32. You have to give the Farrelly brothers credit for taking a shot with this film. It involves Bill Murray as Frank, who eats a hard-boiled egg that he wrestled away from a monkey at the zoo. Cut to inside his body, expressed through classic 2D animation. Chris Rock is the titular hero, a white blood cell who is out to destroy the deadly virus (Laurence Fishburne) that is invading. 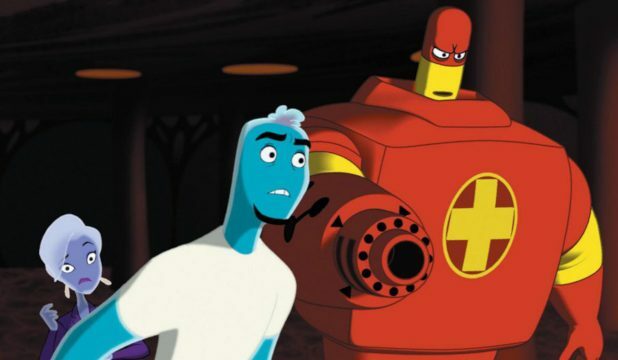 He is joined by Drix (David Hyde Pierce) who is the no-nonsense cold pill that Frank takes. The film is obvious, safe, and childish. Gone is the subversive attitude and cleverness we all expect from the directors. It is entirely possible they were out to make some family-friendly fare, but there is just nothing too special about it. 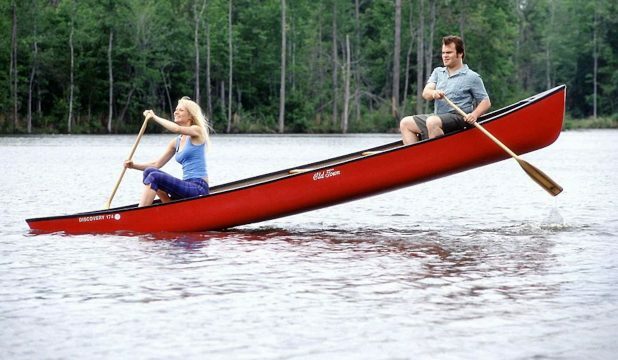 This Jack Black/Gwyneth Paltrow farce is fun enough, but the central concept is a bit misdirected. Jack Black is Hal, a superficial schlub who is all about girls’ looks. While stuck in an elevator, Tony Robbins recognizes his attitude and whammies him. Now, Hal only sees peoples’ inner beauty expressed outwardly. It provides pretty funny situations and the romance between Hal and Paltrow’s Rosemarie is sweet. However, the Farrelly brothers drop the ball a bit by making almost every “ugly” person beautiful inside (therefore beautiful as seen by Hal) and every pretty girl is ugly inside. This story needed a bit more nuance to work. There are conventionally unattractive people who are also awful people. There are also pretty people who are wonderful. This imbalance keeps the movie from being great. Still, some of the laughs are enormous. When Jason Alexander brushes off a date with a beauty because he’s not a Clapton fan, you may choke from laughing so hard. The premise for 2011’s Hall Pass is pretty weak, but The Farrelly brothers, Owen Wilson, and Jason Sudeikis pull it off. Wilson and Sudeikis are Rick and Fred, respectively. Their marriages are a bit shaky so their wives, through the suggestion of their therapist friend, grant them each a “Hall Pass”. They each have a single week off from marriage. Somehow the wives think this will snap them out of their sexually frustrated ruts. The boys are more than willing to oblige. However, long-married, middle-aged men do not have the pickup game they used to have. There are many hysterical scenes where they waste days overeating and eating too many pot brownies. When Rick meets the stunning Leigh (Nicky Whalen), the movie kicks into high gear. Will Rick go through with it? He is 100% allowed to. The film is honest in how it handles this circumstance. The freedom provides a lot of hilarity. The opportunity really changes the tone in the best of ways. If you are looking for the usual Farrelly brothers fare, The Three Stooges is a failure. 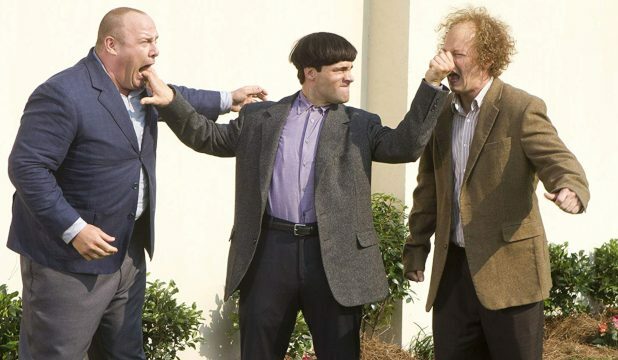 If what you want is a modern, faithful Stooges adaptation, The Three Stooges is near perfect. The three actors cast as Larry, Moe, and Curly (Sean Hayes, Chris Diamantopoulos, Will Sasso, respectively) are outstanding. Also, the film is PG, lighthearted, and slap-sticky, which is exactly what the Stooges were back in the day. These idiots are out to save their orphanage who can’t get insurance because of the trios violent antics over the years. They go out into a world that is baffled by their personalities and stupidity. It is incredibly sophomoric humor, but that is exactly the point. Also, the film has one of the Farrelly brothers most inspired ideas in a long time. Moe gets cast on The Jersey Shore. It is one of the funniest things the directors have ever done. This is the bravest film the Farrelly brothers have ever done. How on Earth can a comedy about conjoined twins work? Meticulous care has to be taken to keep it funny without being insulting or disrespectful. Somehow, they pulled it off. Greg Kinnear is Walt Tenor, the “left” brother who has been bitten by the acting bug. He wants to travel to Hollywood and follow his dream. Matt Damon is Bob Tenor, the “right” twin who loves his brother and is up for helping him. To watch these conjoined twins try and make it in Hollywood is the height of absurdity, but that is what the Farrelly’s do best. Watching a studio try to hide Bob behind plants and extras while Walt acts is hilarious. Cher and Meryl Streep both play themselves in this film as well, and they kill it. The film never feels the need to make fun of Walt and Bob. They are super nice guys and are perfectly comfortable in their situation. That doesn’t always mean everyone else is though. Purchase now on Amazon for $6.49. 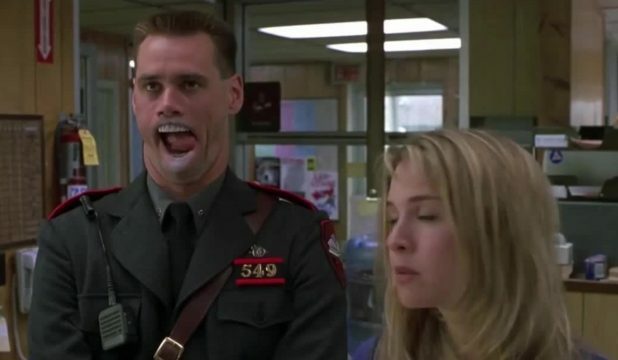 After the incredible success of Dumb and Dumber, Jim Carrey finally reunited with the Farrellys for Me, Myself, and Irene in 2000. The premise is simple. Rhode Island state trooper, Charlie Bailygates, is a mess. His new wife left him for a black, little person, Ivy League professor. They ran off and left the three brilliant, black triplets with Charlie. He raised them as his own, little Jamaal, Lee Harvey, and Shonte Jr. But his incredibly repressed emotions emerge 20 years later as an alter ego, Hank. Carrey goes more vulgar, profane, and coarse than he has ever done in his career. The Farrelly brothers really pulled out all the stops with this R-rated comedy and it works. Charlie is the super nice, ready-to-please guy who actually makes you cry in a scene early on. Hank is the polar opposite. He is so extreme that he beats up little girls, subs in for a baby during its breastfeeding session, and drives through barber shops. Unfortunately for Charlie, he always has to deal with the fallout. 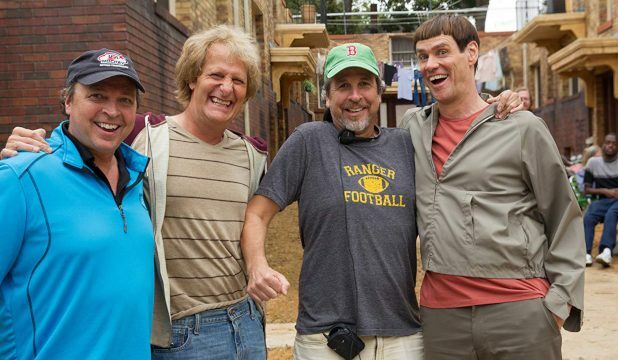 It is so refreshing to see Carrey and the Farrellys back together again. Also, it is great to see them unhindered and without reservation. Purchase now on Amazon for $8.97. In the polar opposite situation as The Heartbreak Kid, Kingpin THRIVES on its characters being despicable. Woody Harrelson has never been funnier than as Roy Munson. He is an ex-champion bowler who so destroyed his own life that “Munsoned” has entered the lexicon. As a way to get back on top, he decides to mentor an Amish bowling prodigy (or is he? ), played by Randy Quaid, into winning the Reno championship. Roy Munson is a sleaze. He will do anything to get ahead. Munson is hysterically depraved but is written so well that just a hint of sympathy shines through. He cheats, swears, has a hook for a hand, and one of the worst comb-overs of all time. Second only to the film’s villain, Ernie McCracken, gloriously portrayed by Bill Murray. 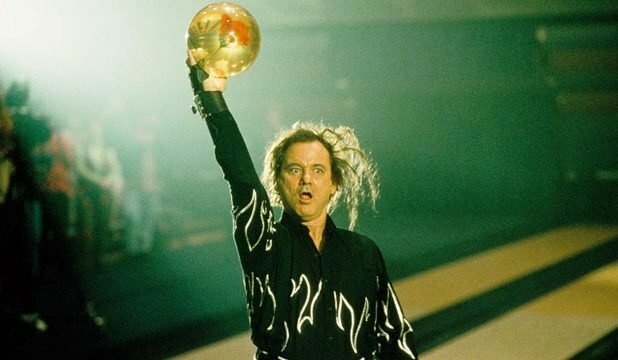 Kingpin is a road trip movie, just as Dumb and Dumber was. The hijinks, the characters, and the depths that Munson and Ishmael get themselves into are always hilarious. This is where it all began. In 1994, Peter and Bobby Farrelly caught lightning in a bottle with Dumb and Dumber. Jim Carrey was riding high with Ace Ventura and The Mask being huge hits. Jeff Daniels was a well-respected, multiple award-winning actor willing to go way off the deep end. The result is one of the best movies of both of their careers. 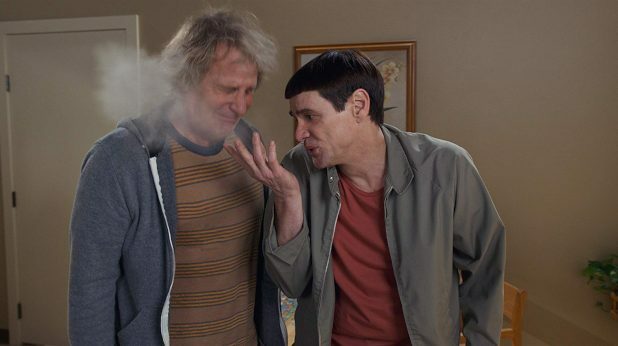 Dumb and Dumber is so perfectly quotable and so infinitely watchable, it is unique among the best of modern comedies. Once you know a film’s jokes, they cease to be as funny. This film NEVER gets old. 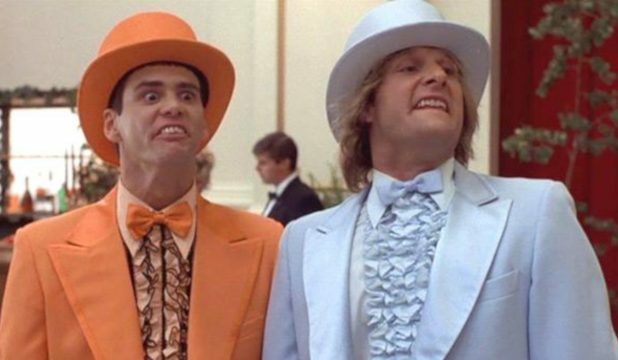 Harry and Lloyd are just one of the greatest on-screen comedy duos of all time. Lloyd is like a psychopathic alien who doesn’t understand a thing about the world around him. Harry is like an immature man-baby whose pitiful brain doesn’t allow him to grasp reality. They fall backward into fortune and love throughout their cross-country road trip. These are the best kinds of idiots. They are the guys you root for but laugh uncontrollably when they fail. Purchase now on Amazon for $9.79. Fever Pitch is an adaptation of Nick Hornby’s novel about English football reimagined as the story of a rabid Red Sox fan. Out of all of the Farrelly Brothers movies, this is the most down to Earth. Jimmy Fallon is perfectly cast as Ben, the man-child whose entire existence is sole to champion the Boston Red Sox. That is until his meet-cute with Drew Barrymore’s Lindsay. Now Ben has to juggle his competing loves of the Sox and of his girlfriend. It is incredibly sweet, funny, and heartfelt. We all have passions. For visitors of Comingsoon.net, that passion is often movies. Some people are passionate about animals, or politics, or history. We all have something that we care about so much that it consumes our life. Sure, while we watch the absurd lengths that Ben is willing to go for his passion, we find it hilariously tragic. But we can all sympathize. Fever Pitch is that wonderful kind of romantic comedy that perfectly exhibits how difficult balancing our passions can be. 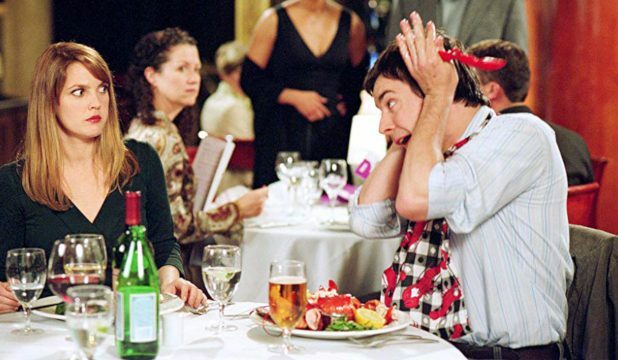 Watching the roller-coaster ride of Ben & Lindsay’s relationship is some of the best stuff the Farrelly brothers have ever done. After the zaniness of Dumb and Dumber, the Farrelly brothers finally matured and literally made one of the greatest comedies of all time. It is actually #27 on AFI’s 100 Funniest Movies of All Time list. The story is simple enough, where Ben Stiller’s Ted falls hard for the perfect girl in high school. He never quite gets her out of her head and he decides to track her down. Cameron Diaz became a superstar in the role of Mary. She is literally every man’s dream girl. She is gorgeous, rich, loves sports, and drinks beer. The central theme is that every man that meets Mary falls head-over-heels in love with her. So much so that they will go to the most ridiculous lengths to be with her. This is where all the comedy stems and it all works so perfectly. Stiller’s Ben is a poor fool who does not feel worthy. Matt Dillon is the hilarious Healy who is as sleazy as a man can be. Throw in all the classic Farrelly brothers tropes and things like the famous “hair gel” scene and you get a riotous good time. There’s Something About Mary is thus far, the Farrelly brothers greatest film. We will all have to see if Green Book surpasses it.